A Great Choice Gets Even Better. 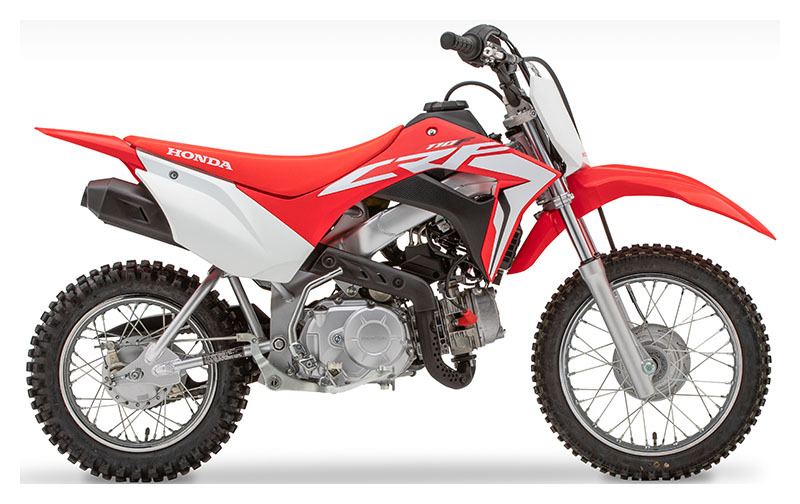 CLEAN-RUNNING ENGINE: Another benefit of fitting the CRF110F with fuel injection? Now it even meets California’s stringent CARB emissions standards for off-road motorcycles—good news for everyone. 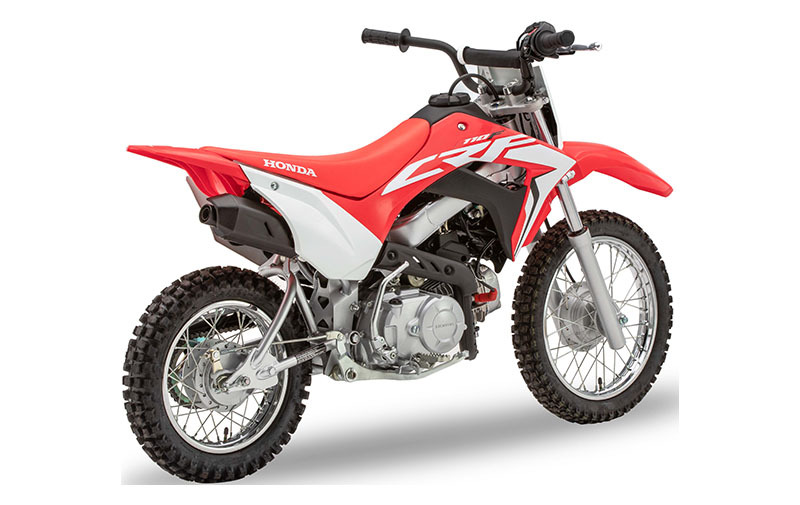 MORE SUSPENSION TRAVEL: While we were redesigning the CRF110F’s new frame, we gave the rear suspension additional travel for a smoother ride. 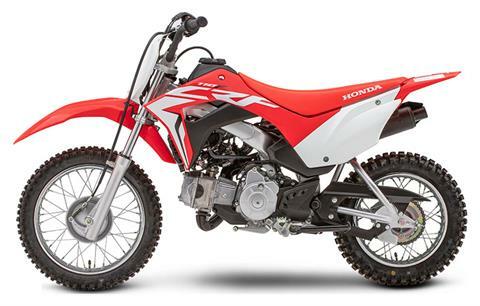 NEW STEEL FRAME & SWINGARM: Less experienced riders are hard on equipment, especially when they’re just starting out. 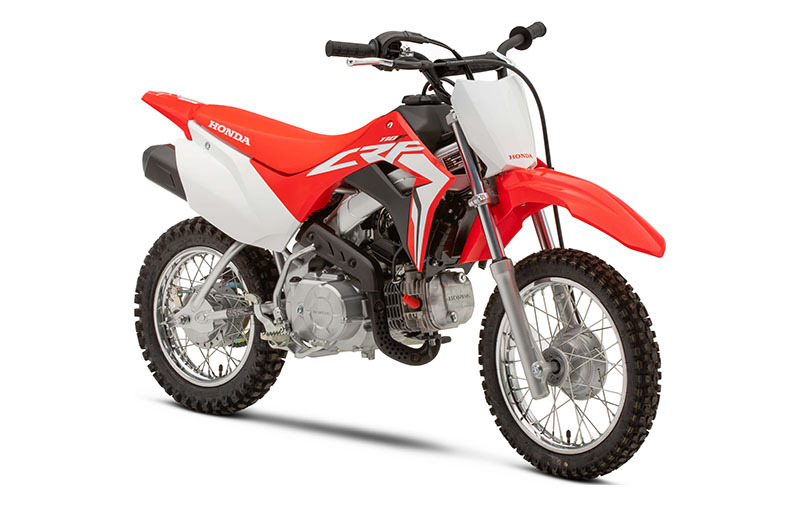 That’s why we gave the CRF110F a strong, new, twin-spar-type steel frame and swingarm that are built to handle the bumps and dings of off-road riding. TOUGH BODYWORK: Riders can be tough on equipment, and taking a spill is a natural part of learning. But the CRF110F can handle it. 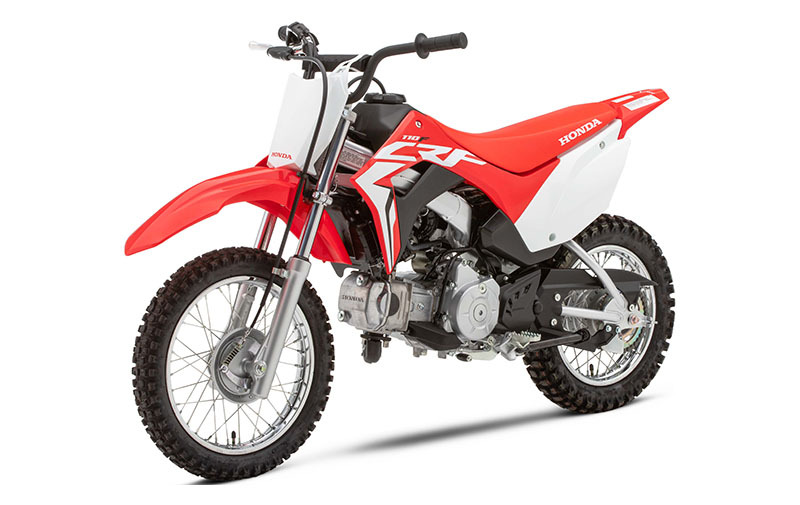 With tough plastic fenders, tank, and other body parts designed to look like our bigger CRF motocross bikes’, the CRF110F is engineered to shrug off the minor dings of the real world. 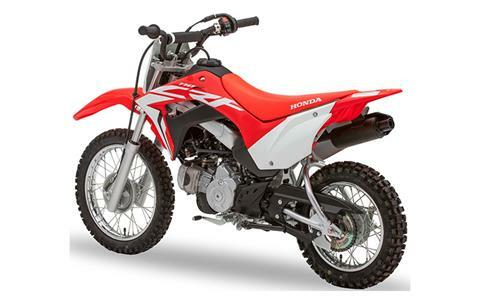 LOW SEAT HEIGHT: It’s important to have a bike that’s sized right for your rider. 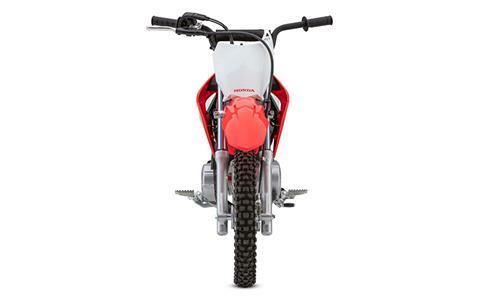 The CRF110F’s low seat height helps build confidence right from the start. 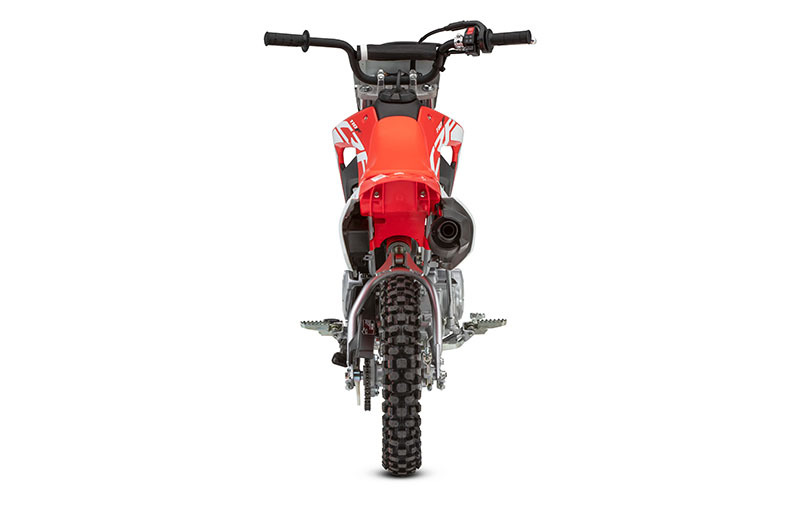 Its seat height fits nicely between the CRF50F and CRF125F. FUEL INJECTION: New for 2019, fuel injection means the CRF110F starts right up, even in cold weather. Compared to a carbureted bike, it also helps reduce emissions and enhance performance and fuel efficiency. And say goodbye to clogged pilot jets when you put this bike away for storage. HALF-WAFFLE GRIPS: Just like the pros use, the CRF110F gets upgraded, half-waffle pattern grips. Might as well start them off right!